People seem to care about football here. 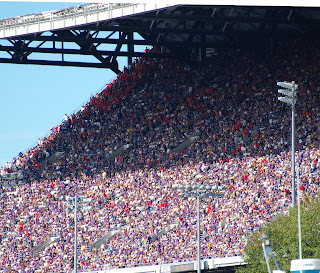 These are the north stands of the University of Washington's Husky Stadium. 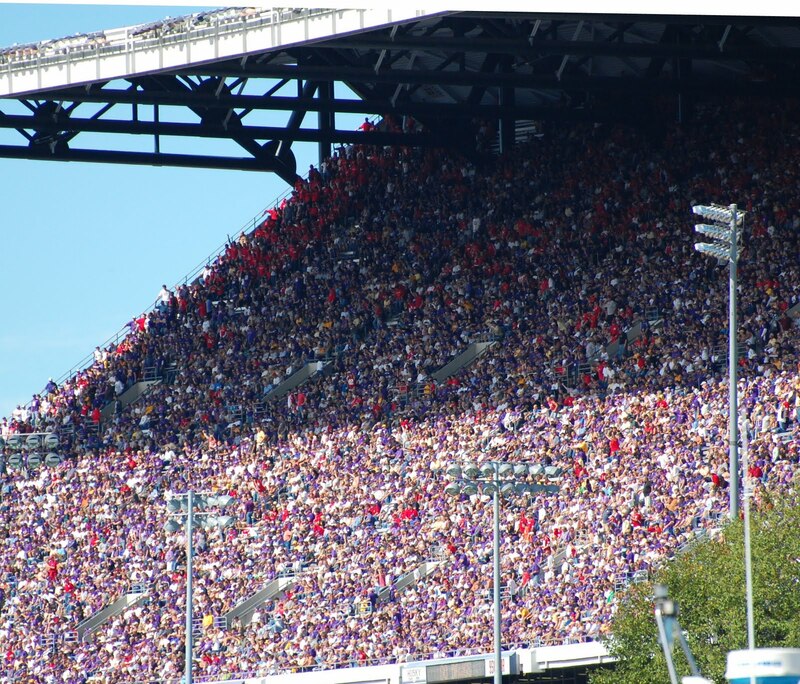 The UW Huskies (purple) played the Nebraska Cornhuskers (red), to a 56-21 loss. It looks like a capacity crowd. This is a floating view, from the Lake Washington Ship Canal.